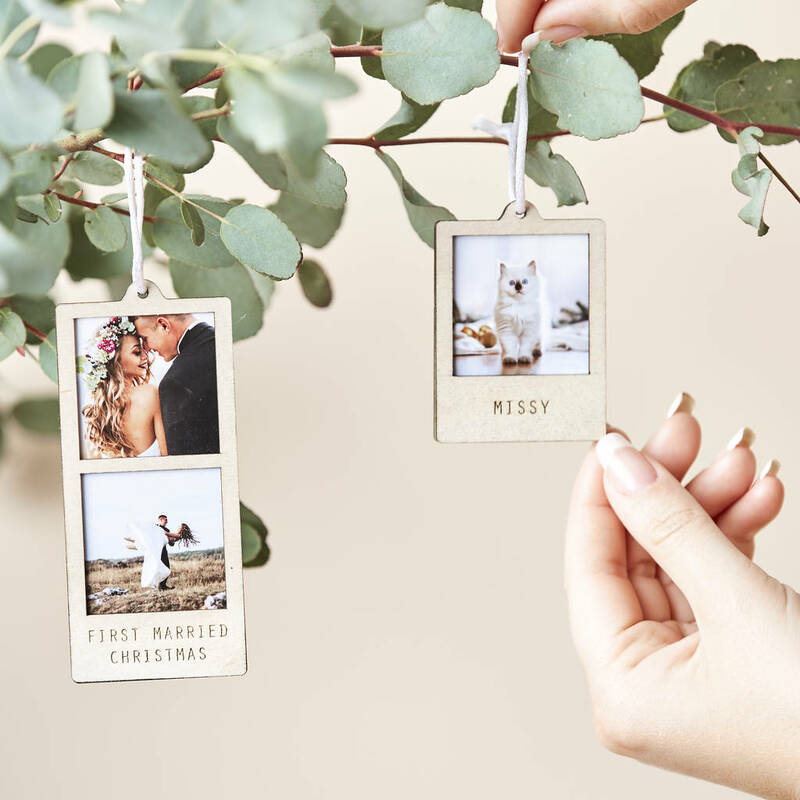 Our Personalised Hanging Photo Token makes such a sweet Personalised Photo Gift. Perfect for a thoughtful Father's Day Gift. This personalised wooden decoration features some of your favourite memories with with your Dad an engraved message underneath, a perfect gift for someone special or a lovely treat for your home. A wonderful way to celebrate your special moments. Sending your photos couldn't be easier, once your order has been placed you will need to go to ‘my orders’ section. Here you can then create an order enquiry where you can attach the photos you would like to use for your Photo Decoration. 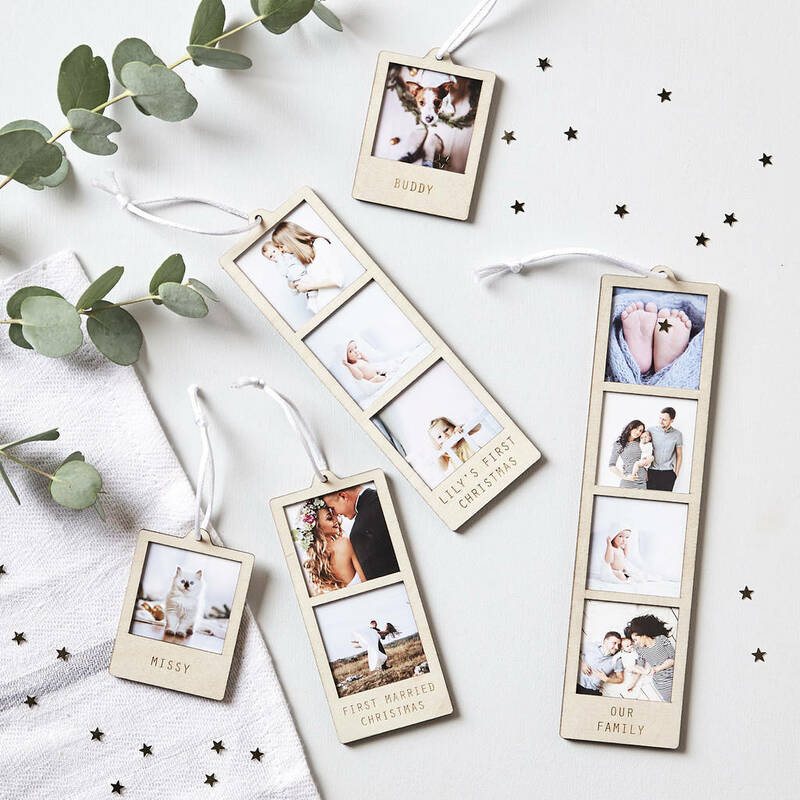 If you have a particular order that you would like your photos to appear, please ensure that each photo is numbered. We will start with number 1 at the top. If you do not mind the order then please let us know, and we can work out the best composition for you. 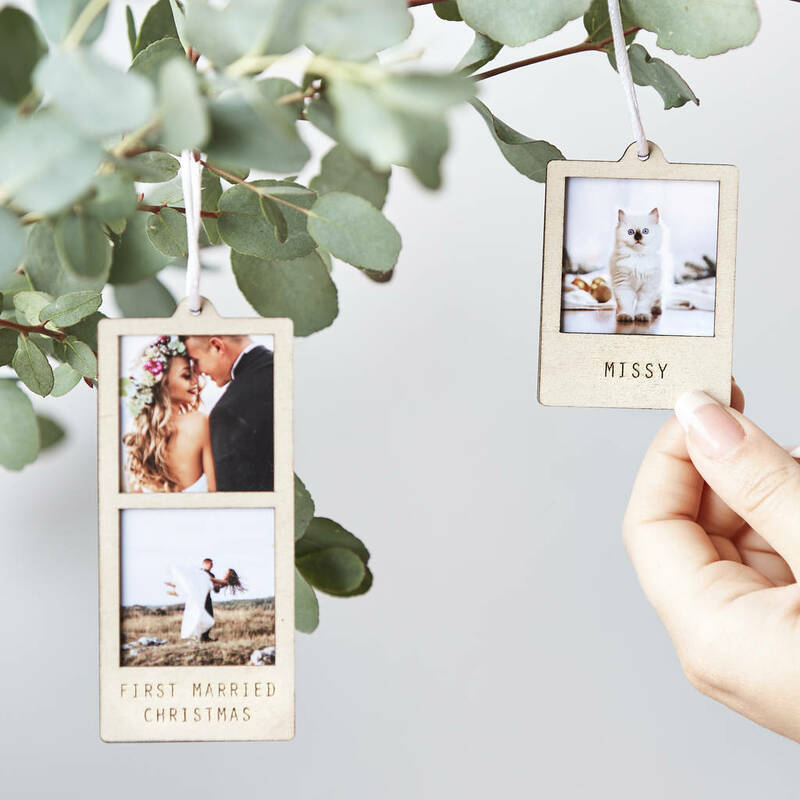 The Personalised Hanging Photo Decoration is printed onto high quality semi matte professional photo card. Mounted inside a wooden frame with cord for hanging. 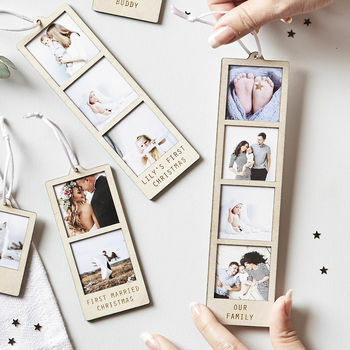 Personalised Hanging Photo Decoration comes in four sizes. Each photo measures 4cm x 4cm.